British interest in the ski property market is showing signs of revival, but will the number of Brits buying second homes in the Alps ever reach the pre-recession all-time highs of 2006? Gareth Jefferies from Alpine Property said, "The number of ski property buyers has decreased, probably halved from the peak in 2006. People felt super confident then, they are much more conservative now, it's to do with job insecurities and worries over the euro. The prices have come down from the bubble of 2006 and there is a lot of stock." Most activity in the market now is at either end of the scale - budget apartments or high-end chalets. Niclas Dowlatshahi, managing director of Leapfrog Properties, said, "Those left are either buying very small cheap units or they are buying the very best, luxurious properties in the top ski resorts. The middle income buyer (spending between €150,000 and €700,000) is hard to find right now." There are signs that sales in ski properties are looking up. Dom Flint from French Mountain Property says he has seen a dramatic increase in enquiries since December, in part prompted by the great ski season and a better outlook for UK investors. Similarly Alpine Property is reporting a 50-percent increase in enquiries for 2012 compared to the same period last year. If you have some extra cash to splash, a ski property could be a good investment, but you must do your research first. The most important factors to consider are snow reliability, size of ski area, year-round appeal and rental value. If scientists are correct, Austria might see the most spectacular climate change; its snowline will rise a startling 300 metres by 2050. Sooner than that, the French Snow Research Centre says a 1.8C rise in temperature will shorten France's snow cover above 1,500 metres from 170 days to 135. Switzerland's Association of Winter Sports Resorts says its annual season has been cut by 12 days, just since 1995. Alpine ski resorts range from the low-lying, traditional villages (around 500 metres) to the high-altitude, purpose-built resorts (up to 3,000 metres). 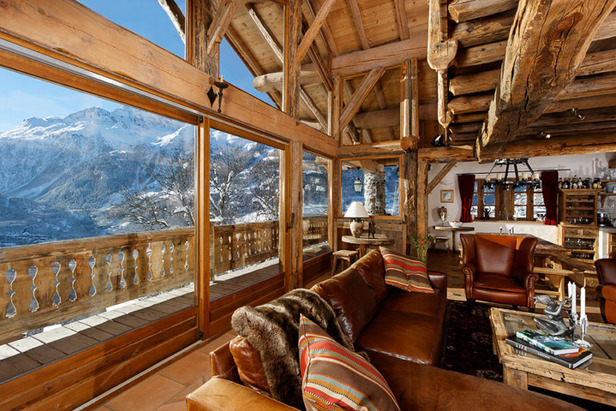 Altitude should definitely be a factor when deciding on a ski property. The best bet is to look for ski properties in resorts above 1,500 metres or with a ski area above 2,000 metres. The bigger the ski area, the better. A wider terrain will ensure there's something for everyone and your property will hold more appeal for all levels of skier and snowboarder, from families to experts. Generally ski resorts in the huge lift-linked areas like the Portes du Soleil or the Three Valleys tend to be very pricey, so if you have a tight budget, consider plumping for a mid-size resort with access to around 150 kilometres of slopes. To get the most out of a ski property, consider resorts that live and breathe outside the winter season. Ski estate agents are witnessing an increase in demand for property in year-round ski resorts such as Morzine, Les Gets, Chamonix, Serre Chevalier and Deux Alpes. There is so much to do in the Alps in summer now, people are coming out for hiking, biking, canoeing, whitewater rafting, climbing, fishing and golfing. Budget apartments and luxury chalets - the opposite ends of the scale - are attracting most interest at present. Gareth from Alpine Property says he has seen a lot of activity in the market for clients spending more than €1 million, particularly people with cash who are willing to invest in the European property market as opposed to the stock market. In-resort apartment developments and ski-in/ski-out chalets are the best bet for rental properties and most likely to get picked up by tour operators who will rent it for a whole season. Dom from French Mountain Property says many of his clients are prepared to forego the increased rental opportunity in favour of having a larger, more luxurious property outside a resort. He says, "The majority of enquiries that we receive now are for chalets, often high-spec luxury developments. Buyers are aware that outside a resort they will get much better value for money. The location (in terms of proximity to ski areas) and altitude are the determining factors in cost of land per square metre." You must first get your ski property into the public domain. If you're looking to make a good rental income, you should be prepared to put in the leg work by adding property details and pictures to rental websites. How much you can rent it out for totally depends on your ski property size and location. If you're buying a two-bed apartment in a popular resort like Morzine or Avoriaz, you can expect around €1,700 a week in high season. But rental value can range anywhere from €700 a week for a studio apartment in a small resort to €5,000 for a four-bed penthouse apartment in a large, high-altitude resort. There are also running costs to consider which will make a dent in your profit. Niclas from Leapfrog says, "A letting agent who provides the changeover and cleaning services will charge 35-40 percent commission. Bear in mind though that you will also need to pay all your running costs, repair costs and taxes so if you plan to use your property a few weeks a year you will probably only be left with a net yield of 2 percent, perhaps 3 percent." Popular ski resorts for British investment: Val d'Isere, Tignes, Meribel, Les Arcs, La Plagne, Avoriaz, Morzine, Les Gets, Samoens, St Gervais, Chamonix, Sainte Foy, Verbier, St Anton, Zell am See, Bad Gastein.